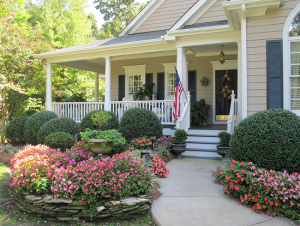 There is still time to enhance your curb appeal for a spring home listing. If you are thinking about putting your home on the market in the spring, now is a great time to think about the curb appeal. Many garden centers are offering a discount on shrubs and all have an assortment of shrubs at great prices because they do not plan on carrying them over the winter. We have had a awesome fall season and the ground is still warm enough to plant bulbs and small shrubs. A few weeks in the ground before it freezes is enough for the bulbs to settle in for the winter. The same is true for smaller shrubs. So while you are tidying up the yard, raking leaves, give it a once over and look for opportunities where a few bulbs plated or shrubs would enhance the appeal to your outdoor space in the spring time. And if you decide to not put your home on the market, you will be the one to enjoy your efforts when the snow thaws in the spring time!